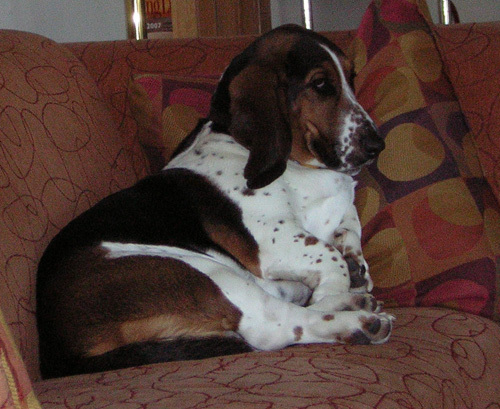 Here is a good shot of Her Majesty reclining on the sofa one recent afternoon, looking every bit the basset hound she is. Isn’t she just regal? Proof positive that quilting can be demanding ….